Wouldn’t you like to have a life where all things are working together for good for you? Then you’re going to have to have the working of miracles in your everyday life. A lot of people might despise that statement, for whatever reason (why, I don’t know) but it doesn’t matter; the people that despise it, they don’t have to have it. The people that appreciate it and like it will be blessed by it, and I’ve had people say that about many of the messages we preach here. They thank me for saying things other people are not saying. I’m preaching to the people who have ears to hear what the Spirit is saying, through me, to them. Where do you suppose I get these messages from? I get them from the Holy Ghost — by praying in tongues a lot. Paul said he prayed in tongues more than all of them put together (1Cor. 14:18). I’m not there yet, but I’m telling you, that’s where these messages come from — I don’t make them up; but I’m getting them and they’re going online, and people are going to be blessed by them, because they could not hear those things in their own church or from somebody else. This is a two part gift. This gift has working and miracles. Throughout the scriptures — and we’ll look at quite a few scripture — the working of miracles has a natural component and a spiritual component. The working is something that they did in the natural, and then there’s the supernatural part. For example, let’s take the working of miracles where Jesus said, Cast the net on the other side of the ship… (John 21:6). They had to work and go throw their net, and then the miracle took place. They had the working part, and they had the miracle part; they had the natural part, and the supernatural part. The working of miracles. Here we have the classic definition of working — the Greek word is energima — it’s where we get the word energy from. When you apply energy to something; when you mop the floor, what does that take? It takes some energy. If it snows you have to go out and put some energy into getting it off the driveway or the sidewalk. It takes natural energy, something you do. Energima, that’s the Greek word for working, means: an affect, an operation, working, to be active, to do something. So you’re doing something, you’re working. Then, miracles; the Greek word dunamis, is where we get the word dynamite from. Dynamic power! Dunamis always carries the element of the supernatural or the miraculous. It has force or power, miraculous power; ability, supernatural ability; strength, supernatural strength. You understand? There’s always the supernatural element. So we’ve got the natural part, energima, and we’ve got the supernatural component, dunamis. When they come together we have the working of miracles, and we’ll see this over and over again in the scriptures. The everyday working of miracles. I would think you’d want the everyday working of miracles. Everyday, everyday in your life, your natural situations being affected by supernatural things. That’s the everyday working of miracles. Now more often than not, when we are talking about the working part, energima, it involves speaking. The natural part is someone speaking. Prayer is saying something. Saying is the natural part. … of a righteous man makes tremendous power available, dynamic in its working. That’s the miraculous part. So, we have the natural part that was prayer, or saying; and then we have the supernatural part that was power coming after the speaking — and we’ll see that over and over again, the power comes after the speaking. The everyday working of miracles is speaking and having the power become available and do things for you. Let’s read on here and He’ll describe it Himself — verse seventeen (James 5:17): Elijah was a man subject to like passions as we are… What does that mean? He was in the natural! He was a man in the natural with issues and problems just like you — like passions. You can read in the scriptures where he needed this or that: he needed a place to stay, he needed some food — all those things, just like we do. And he prayed earnestly. Was that supernatural? No. It said he was a man like we are and he did something in the natural, he prayed earnestly, or he said certain things. We could go read the story (1Kings 17), we won’t right now, but he said either “it’s going to rain” or “it’s not going to rain” — he said things. And he prayed earnestly that it might not rain, and it rained not on the earth for the space of three years and six months (James 5:17). What was that? That was a miracle. It was a working of miracles. He didn’t wave a wand, he didn’t stomp a foot — he spoke. He prayed, and it rained not. So you have Elijah (a man like we are) praying, that’s the natural component; and you have it raining not and then raining again, which is the supernatural component — the working of miracles. … working together for good for you. Is that a promise? Yes, and we’re going to see how we get there. The promise is the working of miracles — all things working together for good in your everyday life. All things working together — the natural part and the supernatural part. We’ll come back to this verse in a little bit. For now, let’s look at Mark chapter eleven. Here we have where Jesus passed by a fig tree, and did what? Mark chapter eleven and verse twenty (Mark 11:20). And in the morning, as they passed by, they saw the fig tree dried up from the roots, and Peter calling to remembrance saith unto Him “Master, behold, the fig tree which thou” … dug up with a shovel … “is withered away.” Is that what He did? No. What did He do? He spoke to it. How did this miracle take place? Jesus spoke, and so the working of miracles (this is a working of miracles, you understand; it wasn’t a healing, it wasn’t any of those other gifts of the Spirit; it was a working of miracles.) took place. He said, “Dry up,” to the fig tree, and it dried up by the next day — that was a working of miracles. Did this happen in Jesus’ daily life? Yeah! And Jesus answering saith unto them, verse twenty-two (Mark 11:22), have faith in God… or have the God kind of faith. For verily I say unto you, That whosoever shall say unto this mountain, Be thou removed, and be thou cast into the sea; and shall not doubt in his heart, but shall believe that those things which he saith shall come to pass; he shall have whatsoever he saith. So what was the natural component here? Saying. The speaking and the saying was the natural component, and the supernatural was it coming to pass. Mark chapter four. Here we have where Jesus and his disciples are crossing over the sea; Jesus said, “Let us pass over unto the other side.” Verse thirty-five, (Mark 4:35); and the same day, when the even was come, he saith unto them, Let us pass over unto the other side. Verse thirty-six, And when they had sent away the multitude, they took him even as he was in the ship, and there were also with him other little ships. And there arose a great storm of wind, and the waves beat into the ship, so that it was now full. And he was in the hinder part of the ship, asleep on a pillow: and they awake him, and say unto him, Master, carest thou not that we perish? What did they say? They said, “We’re dying, and you don’t care.” That doesn’t sound like faith. And he arose, and rebuked the wind, he spoke, and said unto the sea, Peace, be still. Was this a working of miracles? Yes. It could be defined as someone saying something, and having a miracle take place. The working part was saying; so when you’re saying, you’re working. And then you believe that what you said comes to pass. You see? That’s the miracle part that takes place — just like Jesus, this was part of His daily life. Then we have where Lazarus died, John chapter eleven (John 11:43), you can read it later if you want to. Was Lazarus’ being raised from the dead a miracle? Yes. Lazarus was dead in the tomb for many days — and what did Jesus do? Did He go roll the stone away, and massage him, and use a defibrillator? No. He spoke!Jesus said, “Lazarus, come forth.” (John 11:43). What was Jesus’ work? He spoke. You’re going to have to do it God’s way. I hope you’re getting this. I’m just showing you a few examples, I could go to many, many others; those are just three I came up with to show you that the speaking is the working part. The speaking has to happen in the natural, and then the supernatural joins up with it – that’s the working of miracles. And so when we’re talking about everyday working of miracles, it’s something you’re going to be doing every day. All things working together for good for you. This is exciting! All those were classified as miracles, no one would deny that, and all had two things in common — can you guess what the two things are? Words were spoken, in the natural; and a miraculous event took place, which was supernatural. I hope this is blessing you as much as it’s blessing me. I think people long to live in the supernatural, they just don’t know how to get there; they long to have supernatural things take place in their lives, but they don’t know how to get it to happen. So, how do we get it to happen — if we can see that all the workings of miracles take place when someone speaks? We have to learn to speak, and to say the right things. God chose these things. We’re talking specifically about speaking words. He chose the vehicle of speaking words to bring to naught “situations that are,” or to bring into the world things that you want. It’s God’s method, it’s what He chose. If God is working a miracle in your everyday life, how does He do it? By the foolishness of you speaking (1Cor. 1:21). When you’re consistent with it, especially when you’re saying His words daily, you are walking in the working of miracles. And He went on last night to say, “Don’t think that your confession isn’t doing anything.” Have you ever thought that? Don’t think that your confession isn’t doing anything. It is the material out of which everyday miracles are made. God chose this method. You didn’t, He did. Are you getting this? Because we often think that. “Oh, it’s not doing anything.” No, it is doing something. You could’ve thought that when Jesus spoke to the fig tree. We understand, it’s Jesus, it happened immediately or the next day; but it’s still the same principle: you say the confession, and you believe that the words you said come to pass and you have whatever you say — that is the definition of the working of miracles. And if you say your confessions every day, then pretty soon — everyday — you’ll have the working of miracles working for you. God chose this method. “I must have words to work with,” He says. Would power be included in the working of miracles? Yes! That’s what we want, that’s what the working of miracles is: the application of God’s power in your life; and frankly, our everyday life is where we want it. Well, here it says, But you shall receive power, after that the Holy Ghost is come upon you. The power comes on you after the Holy Ghost comes on you. Is that what your Bible says? So it comes on you after. Power after. The Holy Ghost isn’t a power; He has power — it’s His power. The Holy Ghost is the Holy Ghost — He is God; and then after He comes on you, His power does. Now it said in chapter one verse eight that the power comes after the Holy Ghost comes on them, and here it says that they were all filled with the Holy Ghost (or He came on them) and they began to speak. What happened after the Holy Ghost came on them? The speaking. They were all filled with the Holy Ghost and began to speak… What did they begin to speak? They began to speak with other tongues as the Spirit gave them utterance. Then they began walking in the power of God. The power of God began to manifest for them in their everyday lives because they were speaking. When you speak in tongues, what happens, according to the scriptures? Power comes. “Well, I don’t feel like it does.” So what? You don’t always feel everything, do you? When you speak in tongues the power comes into your life. What are you speaking? You’re speaking what He wants said — you’re speaking His words as He gives you utterance — and power becomes available, and it comes into your natural life. We’re talking about the everyday working of miracles. How do you work miracles? The number one way is by speaking — speaking God’s word. Nothing could be better (in speaking God’s word) than speaking in other tongues, because you’re speaking as He gives you the utterance. He’s giving you the words to say. So the power of the working of miracles comes after the speaking, we’ve seen this over and over again. The power of the working of miracles for you in your life comes after your saying, or your speaking — especially in other tongues. He may quicken you to say something specifically, that’s good, but you don’t have to have that — you can just keep speaking in other tongues, and know that the power comes after. James chapter three and verse five (James 3:5) says, even so the tongue is a little member, and boasteth… or works… great things. It boasts, that’s the working part; the great things is the supernatural part. So is the tongue among our members (James 3:6). That’s how you’re working miracles. Philippians chapter one, verse nineteen (Phil 1:19). For I know that this shall turn to my salvation… He’s talking about a specific situation, and it needs to turn. I could share what it is but it doesn’t really matter, that’s not really the point — the point is that there are situations that need to turn. Turn to my salvation. The word salvation, or soteria, simply means your deliverance; a situation that shall turn to your deliverance, shall turn to your prosperity, shall turn to work out for your benefit. Remember what we were talking about before? “All things working together for good for you,” (Romans 8:28). It shall turn. “All things working together for my good,” I could put that there, because it’s talking about the same thing — the everyday working of miracles. For I know that this shall turn to my salvation (Phil. 1:19). To my deliverance, to my prosperity, to my healing — whatever I need. Through your prayer. Your prayer, which is what? Your words, your saying, your calling, your asking, your petition — your words. It shall turn to your salvation through your words AND the supply of the Spirit of Jesus Christ; the supply simply means the full, complete provision of the Spirit of Jesus Christ. So here again we have the two components: we have the natural part of your words calling; and the supply of the Spirit, which is the working of the miracle. And he said he knows that it shall turn. So prayer is the saying part, the natural part. The supply of the Spirit, is that natural? No. It’s the supernatural part. Go to Galatians chapter three. Galatians chapter three, verse five (Gal. 3:5). He therefore that ministereth to you the Spirit, and worketh miracles among you… Can you guess what that’s talking about? It’s talking about working miracles among people, or among them in their daily lives; and most of the time, when you need a miracle, it will be in your daily life. He that ministereth to you the Spirit… Remember how before we had the supply of the Spirit; so, we have someone ministering the supply of the Spirit and working the miracle. How do you think the miracle (if it follows the pattern of all the other scriptures) is going to be worked? By speaking. There’s a supply of the Spirit, and there’s speaking. He said you’d be delivered by speaking, and the supply of the Spirit. He therefore that ministereth to you the Spirit, and worketh miracles among you, doeth he it by the works of the law or by the hearing of faith? I’ve got news for you — every time there’s hearing, there must be a speaking. He could have said, “By the speaking of faith.” But that wouldn’t have worked because they had to hear it. You understand? Because faith comes by hearing. So he was speaking faith — with the supply of the Spirit — and the working of miracles took place in their everyday life. You supply the voice — that’s the working part, that’s the natural part. You don’t do the supernatural part; He supplies the spirit. It said right there: through the supply of the Spirit. You shall be delivered by your prayer (or your voice) and the supply of the Spirit. That’s the working of miracles, every day. Are you going to have the supply every day if you don’t use your voice every day? No. And you wonder why I keep saying you’ve got to pray in tongues every day. Why? Because you’re supplying your voice, you’re providing your voice (He must have words to work with); and then He supplies the power of the spirit, because the power comes after the saying. You see? Faith comes by hearing. This should be blessing you — and I think it is. Now, if you’ve come this far in this message (especially you at home) you’re going to rewarded right now. This has come to me through literally years of meditating and saying these verses of scripture; and years of doing them, praying in the Spirit. Now, it would really help if you put a period here, because I’m going to show you something. The Spirit Himself makes intercession for us, or with us; the Spirit Himself intercedes on our behalf; the Spirit takes hold together with against. The Spirit helps. The Spirit advocates. The Spirit steps in the gap on our behalf. Are you getting the picture here? For us with groanings. Put the period right there, and stop and think for a minute. Who’s groaning? Is the Spirit talking about the Spirit groaning? He’s not groaning! Who’s doing the groaning? Who’s doing the speaking here? We’re doing the speaking — that’s our part. He takes hold. He does this with OUR groanings. He’s not groaning. Why would He have to groan? Is He groaning to Himself? He knows what He wants, there’s no need for Him to groan. The “groaning” just means that you’re saying things, and you don’t know what you’re saying. We know that refers to speaking in tongues; any good Pentecostal would know that’s exactly what we’re talking about here. He is not the One speaking in tongues, we’re the ones speaking in tongues. We’re the ones groaning/speaking. He’s taking hold, interceding on our behalf when we groan; when we speak, He’s doing this. He’s advocating, He’s standing in the gap, He’s doing things — when we’re groaning. Look at this, I’m going to read it again, (Rom. 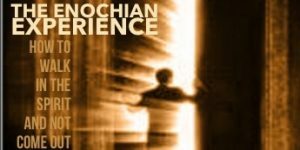 8:26) for we know not what we should pray for as we ought: but the Spirit Himself makes intercession for us… intercedes on our behalf… with groanings that which cannot be uttered. It says here, “With groanings which cannot be uttered.” Well, number one, that doesn’t make any sense on any level. He’s not groaning something that can’t be uttered — that would mean He’s not uttering anything! That is not what it means; it means that now you’re speaking, you’re groaning, you’re speaking in other tongues — that which you could not articulate before, that which you could not utter; and it applies directly to the what and the how that came before it. You’re speaking what and how, in other tongues, that which you did not know how to do before; and He’s able to intercede, He steps in, He takes over — while you’re doing it. He does the miraculous part. He intercedes on our behalf with our groanings (you could even put that word in there because it describes who’s doing the groaning) that which we could not utter before. That which we didn’t know how to utter before; but now we do, because we’re doing it in the spirit. Isn’t that good? Isn’t that a lot more clear than what it seemed to say there? Yes, glory be to God. We do the groaning, which means we do the speaking. He does it, the supernatural part, with our groanings — we know that! We speak as He gives us utterance; and then He’s able to do the intercession on our behalf, with our groanings. Let’s read on in verse twenty-seven. (Rom. 8:27) And he that searcheth the hearts knoweth what is the mind of the Spirit… Let me ask you a question. Could “He that searches the hearts” be talking about “Who knows the mind of the Spirit?” If it is, once again, that makes no sense on any level. Of course the Spiritknows what is the mind of the Spirit — it’s His mind! He knows what His mind is. He’s not the one searching the heart to know what is the mind of the Spirit. Are you telling me that if He searches my heart, He’ll know what His mind is? That makes no sense, okay? What will make sense is when we read it backwards, the way so many Greek sentences are structured. Picture what’s happening: you’re giving groanings, you’re praying, and what are you doing? You’re working with the Holy Ghost and speaking according to the will of God. Because He makes intercession for the saints according to the will of God, he that searches his heart, knows what is the mind of the Spirit. He that searches hisheart. He that searches, or examines, his heart; or looks down in his own heart — knows what is the mind of the Spirit. The person examining his heart is the one who’s been praying with the Holy Ghost; and because I’m praying with the Holy Ghost in other tongues according to the will of God, when I examine my own heart I know what is the mind of the Spirit. How do you get to know the mind of the Spirit? By praying as the Spirit gives utterance. I’m praying the will of God, and as I look into my heart I know (I can examine) what is the will of the Spirit. That’s what we’re talking about, Him coming in to help us. And… verse twenty-eight. And we know that all things work together for good… And what is that? That’s the definition of the working of miracles: all things working together for good. Why would that be? Because you’re speaking as He gives you utterance; you speak the words given by the Holy Ghost, and power comes after. What is the power coming after? It’s coming after the word is spoken. And we know that all things work together for good to them that love God… and call according to His purpose. So we know, not only that we know the will of God (because we have the mind of Christ when we pray in the Spirit, and when we look into our hearts we’ll know the will of God) but we also know the power of all things working together for good. That is the power of the working of miracles in your everyday life; however, it’s not going to happen every day if you don’t pray every day. You can’t have the miracles without the speaking; you don’t have the power without the words. So when you’re praying every day, when you’re praying in the spirit, you are literally working miracles in your everyday life. You know the power of the working of miracles in your everyday life. Is this scriptural? Yes. The power goes out and it works for you — it does. Everyday tongues, everyday working of miracles; every day, all things working together for good for you. Just stand on your feet for a minute here, and we can know the power of all things working together for good for us. Let’s pray in tongues a little bit and then I’m going to say, “All things work together for good for me,” and I’m going to show you what you need to do; we’ll pray in tongues for a little bit, and then we’ll repeat, “All things work together for good for me,” and we’ll pray in tongues a little bit more, and then we’re going to say… what? “All things work together for good for me.” Because this is how you have the everyday working of miracles. I have the answer for you today, if you will hear me. What I am about to reveal to you will change your life and the way you walk with God forever. If you do it. This message will help you locate, with pinpoint accuracy, the specific place where all the things of God come from, so you can go there any time you want, and take full advantage of the profiting that comes from there. Most people want it to come some other way, from some other place, but it doesn’t and it won’t. If we want the things of God we are going to have to get them God’s way. Jesus is giving us great information here, not only about what truly profits us in this life but also about where quickening life comes from. First, I trust that you know what quickening means (it is the spirit that quickens) – to make alive. Too often I assume people know more than they do, so indulge me for a moment while I attempt to keep everyone on the same page. Secondly, this quickening will come exactly the way Jesus said it would, by his words spoken to your spirit. “The words I speak… are life” – spirit and life. So, coming this far, we can simply ask the question: if these words are life quickening spirit-words, where does he speak them and where do we hear them? The answer is simple, in our spirit. God speaks words and our spirit hears them. God speaks words and your spirit-man hears them – not your mind and not your body (flesh). He is not speaking to your mind. He is not speaking to your body. Of course these words will eventually affect your mind and body, but we must first understand where this transaction is taking place – in your spirit. It’s a spiritual transaction that takes place in your spirit. Speaking in tongues, an enormous benefit. Speaking in tongues, or praying in tongues, on a daily basis, is an enormous privilege and benefit. Not only does it build you up and strengthen you, but it also helps you locate where your spirit-man is – that place where all the things of heaven come from and to. It’s where God speaks. Yet most people don’t even know they have a spirit, let alone where it is or how to locate it. Note: If you have not yet received the Holy Ghost with the evidence of speaking in other tongues, I encourage you to do so. We have much teaching along this line. Go here to download one of our most popular series, “The Power of Speaking in Tongues” (link). Speaking in tongues – a lot – helps you pinpoint exactly where you hear from heaven. What do I mean by a lot? More than you do right now. Nevertheless, I always recommend people spend at least one hour a day on this exercise. Jesus called this place where the living water flows out your belly. Your belly is not your head. Your belly is in your stomach area and we know he certainly isn’t talking about the fleshly part. He is talking about the core of your being. As you pray in the Spirit and let those living waters flow out, you will be able, more and more, to precisely locate your innermost being – the real you, your spirit-man. Jesus likens your spirit to a well that is in you. From this inner well springs up something – life. Life for what, you may ask? Life for anything and everything you need. If you have a sick body, what you need is more life quickening your body. If you have lack in your finances, you need more life quickening your bank accounts. If you lack knowledge and understanding about a situation, you need more life quickening your mind. Whatever you need, the answer is more life in that area. “Life more abundantly” than the problem. What you need is there. You just need to know where it is and how to access it. Where is it? In your spirit – in your belly. How do you draw it out? By speaking. Thank God for the ability to speak in other tongues. Speaking in tongues is like taking a bucket and lowering it down into the well of your spirit. Speaking draws it up and out. As you continue speaking in tongues you draw out everything you need to succeed. I have found – time and time again – that, while I am speaking in other tongues, revelation comes up. Or a word of knowledge. Or another gift of the Spirit will take form and manifest. In any case, the answer comes up in that bucket with the living water. I’ll often ask people, “if, every day, you were drawing water out of a well with a bucket and rope, wouldn’t you know if something else came up in that bucket?” It’s just like that. Instead of just more water, your answer came out, too– many times in the form of an interpretation of tongues, or simply just a “knowing” that you have what you were praying for. But, my main point here is that it came out of the same place. Praying in tongues a lot helps us to not only locate where this well is, but also where these answers come from. And we will soon find out that all the blessings of God come out of this same place. Tongues come out of the belly. When I get messages from God to preach on Sunday morning, they come out of my belly. Power comes out of the belly. Healing comes out of the belly. Provision comes out of the belly. Guidance, direction, counsel, help… everything you need, want, and desire comes out of the same place – your belly! Why? Because that’s where the kingdom is. In the midst of thine heart? Guess what that means? You got it. Out of your spirit-man. Out of the midst of your innermost being – your belly. Out of it shall flow the issues of life. The words “issues of life” can be translated “forces of life.” Out of your spirit flow the forces of life! There’s your answer. Need counsel? It’s there. Where? – In your heart, or spirit. A man who understands this draws it out. The answer comes to you out of your spirit – not your mind or your body. Not your circumstances or situations, either. Your spirit. Most people don’t understand this and spend their whole lives looking in the wrong place for their answer. If you are looking outside your spirit, you are looking in the wrong place. Most people are missing God simply because they are looking for answers everywhere except where He is speaking. I truly hope this helps you. It is impossible to hear from or be led by God, when we don’t even know where His leading and help comes from. Simply understanding that God is a Spirit and He speaks to your spirit, and not your mind, body, or circumstances, will go a long way in helping you develop into the person you are called to be. Many times people ask me this question, “what faith are you?” What most people are looking for is an answer like “I’m a baptist, I’m a pentecostal, I’m Catholic, or I’m Evangelical, etc.” But, in order to answer their question effectively, we first must understand and describe 1Corinthians 2:4. He goes on to say, my speech and doctrine are in demonstration of the Spirit. And…there we have it! Paul’s first definition of his faith. “In demonstration of the Spirit.” The word demonstration could be interpreted “openly showing.” Paul’s faith was a demonstration or open showing of Whom? The Spirit. The Holy Ghost. Paul’s speech (speaking) and preaching (doctrine) was in demonstration (open showing) of the Holy Ghost. What faith are you? Well, if it’s scriptural, it has to be something similar to Paul’s and should therefore be something that defines your walk with the Holy Ghost. Just like his did. Paul preached about the Holy Ghost and His power. Why would he do that? 1 Corinthians 2:5 That YOUR FAITH should not stand in the wisdom of men, or the doctrines of men, or what men may think, but in the power of whom? God. God the Holy Ghost. Scriptural faith doesn’t stand in the doctrines or traditions of men, but in the power of the Holy Ghost. So the answer to the question, what faith are you? Holy Ghost faith. I believe in the Holy Ghost. He is God in the earth today. Your faith should not be in the wisdom of men but in the active power—I like to say it that way “active power” because it is God (Holy Ghost) doing things. This power (Holy Ghost power) is not just having big muscles or because I’m somehow strong and powerful, but it means that I’m actually involved in the doing of powerful things. Active power. My faith, my belief, my religion is in God the Holy Ghost, or the active power of the Holy Ghost—the active power of Him doing things! My faith is in the active power of God the Holy Ghost doing things. That’s what my faith is. This is my faith. We have a faith like no other. When we say thing’s like, “we worship the Holy Ghost,” name anybody else doing that. 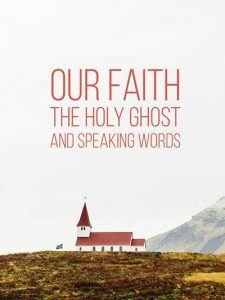 When we say, “the Holy Ghost is God in the Earth today,” I’ve heard others say similar things about the Holy Ghost being God, but they don’t carry it far enough. He’s God in the earth today. He’s the only part of the Godhead in the earth. Our religion revolves around the Holy Ghost being God in the earth today and His active power to do things. I’m going to repeat many of these principles and say them in a lot of different ways. What is your religion? Your religion is in the active power of God doing things. Doing things what? Where? For you, here and now. 1 Corinthians 2:5 that YOUR FAITH (your religion, your belief system) should not stand in the wisdom of men, but in the power of God. God doing things. The active power of God the Holy Ghost doing things for you in the earth. Your faith is like no other. How can you have faith in someone or something you haven’t clearly defined? Much of what we do here at the Society (MHGS.org) clearly defines who God is in the earth today and how to walk with Him. Jesus sent the Holy Ghost. Few would argue against this. But, Jesus isn’t here any more. So if we are going to have active faith in an active God, who is your faith going to be in? It has to be in the Holy Ghost! Again, our faith, our religion, our belief system is in the active power of God the Holy Ghost doing things for us in the earth. How can you have faith in someone not clearly defined? You can’t! Many faiths have not clearly defined this. They think the Holy Ghost is a power of God, some kind of a whispery wind, or an after thought of the gospel. He certainly is not the Head of their religion! The Holy Ghost is God and “our faith” has to be in the power of the Holy Ghost doing things in the earth. 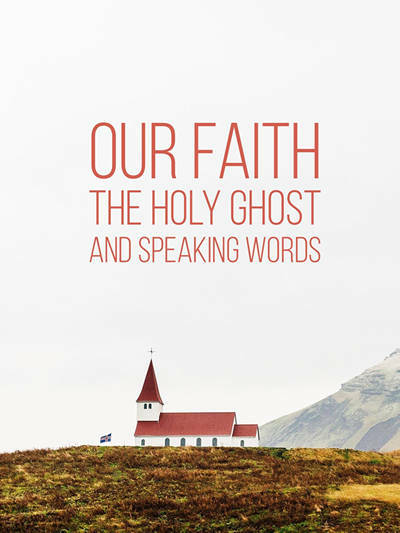 What’s your faith?—The power of the Holy Ghost.—The active power of God doing things.— Holy Ghost doing things. Our faith is in Holy Ghost doing things. Our faith is in Holy Ghost actively doing things where? In the earth. That’s where He is. Jesus sent Him into the earth. Our faith is in God the Holy Ghost actively doing things for us in the earth. When I say our faith is like no other. That’s what I’m talking about. It’s clearly defined. Let’s look at some other scriptures. How about Hebrews chapter 11? Hebrews 11:6 But without faith it is impossible to please him. Him who? God. God who? God the Holy Ghost. impossible to please Him. Your faith, your belief system, your religion should please God, right? Yes. That’s what we are defining and doing. For he that comes to Holy Ghost must believe that He is AND that He is a rewarder of them that diligently seek Him. So, we are believing that God the Holy Ghost IS in the earth AND that He rewards us. That is our faith. That is our religion. That’s our mode of operation. That’s what we believe. That’s our belief system. The Holy Ghost is God in the earth today and He rewards us because we diligently seek Him. That’s about as scriptural as you can get. How do we diligently seek God? By speaking in agreement with His word and by worshiping Him. These two things I preach on a lot here at the Society. We speak in agreement with His words and worship Him. When we speak in agreement with His words and worship Him, He rewards us. Where do we do this? In the earth. That’s where you are. That’s where He is. 1 Timothy 4:8 godliness is profitable unto all things, having promise of the life that NOW is, AND of that which is to come. So, we have to believe that God is. Is where? Is in the earth. AND that he rewards us when we diligently seek Him. How? By speaking the word and by worshiping Him. Are you getting this? This is our religion. It is so simple. Stop trying to make it so complex. Jesus left. He sent the Holy Ghost into the earth. He, the HolyGhost, is God. He is in the earth. We worship God and say I worship You Holy Ghost. Then… He (Holy Ghost in the Earth) rewards me as I diligently seek Him—by confessing in line with His written word and worshiping Him. It’s not that difficult, is it? This is your religion. This is our faith. This faith pleases God. It doesn’t irritate Him. It doesn’t grate on His nerves. It pleases Him. It doesn’t anger Him. He takes pleasure in it. The Holy Ghost takes pleasure in prospering you because you’re serving Him by speaking His words and by worshiping Him. Let’s look at a few more scriptures. Go to the book of Job. I know we don’t go there often. I think a lot of people stay away from the book of Job because it could be pronounced job, and job sounds like work. They wouldn’t want anything to do with that, work? Job 1:9 Then Satan answered the Lord, and said, Doth Job fear God for nought? Vs 10 Hast not thou made an hedge about him, and his house, and about all that he hath on every side? Thou hast blessed the work of his hands, and his substance is increased in the land. The devil was trying to make an accusation to God against Job. The accusation was that Job was only serving God because God rewarded Job with good things for serving Him. The accusation failed simply because the devil didn’t know that this is how God does things—God rewards those who diligently seek Him. When we seek God. When we worship Him and He takes great pleasure in prospering us. He rewards us. Part of our faith, our belief system, is believing that God in the earth today is a rewarder. He is actively doing things to reward us: prosper us, heal us, and generally make things work out to our benefit. Doth Job fear God for nought? No! Is Job worshiping and serving God for nothing? No! Neither are you. We are serving the Holy Ghost and He is a rewarder. This pleases Him. In fact, it’s impossible to please God without serving Him for the reward that He gives to you. It’s all part of the same package.This is our faith. We worship and serve God the Holy Ghost and we serve Him for the rewards He gives us. Where? In the earth. When? Now, in this life and in the world which is to come. People would say, “ah, you’re just being selfish.” Ah, I’m selfishly applying scriptures and… pleasing God! Your selfishness pleases God. Can you say that? Sounds a little weird to your ear, but keep going. Charge them that are rich in this world—always a good business model by the way. That they be not highminded, nor trust… What is another word for trust? Faith. You are supposed to trust—have faith—in the Living God. Who is the Living God? The Holy Ghost. Our faith is supposed to be in the Living Holy Ghost. Who gives us RICHLY all things to enjoy. That’s pretty good. Laying up in store… What? FOR THEMSELVES! How selfish of them, doing what the bible says. religion, our faith, our belief system is in the Living God. We trust in Him. Our faith is in Him. That He is what? Giving us richly all things to enjoy. Richly all things. It doesn’t get much better than that. Now, if you are going to believe “for richly all things”, it’s going to take greater faith in the Living God than not believing richly for anything. One faith is going to please God and one isn’t. Are you getting any of this? I hope so. My faith is in the Living God—God the Holy Ghost in the earth—richly providing for me, actively doing things on my behalf. This is our faith. What is? The Holy Ghost actively doing things for me. Richly providing things for me in the earth. I’m serving Him. I worship Him. I speak His words and therefore guess what? He richly provides things for me. All things. Now and in the world which is to come. This pleases Him. “And that He’s a rewarder.” This should be building your faith. Say this out loud, “The Holy Ghost actively does things for me in the earth today!” That’s your faith. That’s living faith in the Living God. Not a dead faith, or faith that only believes for things when we die and go to heaven. This is our faith. It’s not a bag of religious garbage. My speech and preaching was not with “a bag of religious garbage” but in the Holy Ghost and His active power to do things for me in the earth. New hipster translation (NHT). For the eyes of the Lord…Who? The Holy Ghost. Run to and from throughout the whole earth. Where? Earth. Again this is part of our faith. This is what we believe. We serve Him. This pleases Him. The Holy Ghost has eyes that run and fro throughout the whole earth to show Himself strong, actively doing things, active power, on behalf those whose hearts are perfect towards Him. That’s you when you worship Him and speak His words. the more you act on that, the more you get in line with that, the more you are going to be pleasing to God and the more He’s going to be able to do things for you. The eyes of the Lord run to and fro throughout the whole earth. Where is the Holy Ghost? He’s in the earth. What do we believe? That the Holy Ghost is in the earth. What else do we believe? That He’s in the earth actively doing for me because I worship Him and speak His words. This is a good message. I’m starting to get happy about it. I have a faith that’s different than a lot of other people’s because I’m actively worshiping the Holy Ghost and speaking His words KNOWING that He’s the one in the earth doing things for me because I’m walking in agreement with Him by speaking. Are you seeing this? What’s your faith? That’s your faith. Speaking in agreement with His words. There’s another word for that. Righteousness. Right standing with God is right standing with Whom? Holy Ghost. must therefore be in right standing with God. Amos 3:3 How can two walk together except they be agreed. righteousness of God, or our right standing with God is when we say the same thing as God— also known as the righteousness of faith. I’m not going to be in the righteousness of faith unless I’m speaking something. Romans 10:6 says the righteousness of faith SPEAKS. Romans 10:8 says but what sayeth it? The Word! is of faith when I’m speaking. And what sayeth it? The Word. Why? Because it’s His word and when we say His word we are walking in agreement with Him. What’s the result of that? His ability to do things for you is exponentially increased and it makes Him happy, pleasing Him. The Holy Ghost is God in the earth today and you walk with Him by speaking in agreement with His words. This is your faith. Here is the audio of this message. God has an expected end for you. That end is prosperity and health. Not only does he have an expected end, He has a way for you to get to that expected end. Wouldn’t it be ridiculous for Him to have an expected end and not have a way for you to get there? It is God’s plan for every child of God to own their own business. You can receive that statement or not, but if you don’t receive it I feel bad for you. If you DO receive it, you are stepping into the plan of Almighty God for you. If you can hear that—God’s plan for every child of God is to own their own business—then you are stepping into the plan of Almighty God. If you don’t hear that then you probably won’t ever get into the plan of God for your life. You’ll just keep spinning your wheels and you won’t be “the head and not the tail” you’ll end up somewhere in between. You have to do the plan that gets you to the expected end. If you don’t do the plan that gets you to the expected end, don’t blame God! There is a recognized way of getting wealth—written in scripture. A way that doesn’t just rely on you sitting and waiting for a cow to bring you a bag of money. God’s plan for every child of God is wealth—we’ve got to get over this first. Say this out loud. “God’s plan for every child of God is wealth. That means me!” What’s God’s plan for you? Wealth. He has an expected end. He has a way to get you there. He has a scriptural recognized way to get you there, if you will do it. Romans 12:11 Not slothful in business; fervent in spirit; serving the Lord. Be not slothful in business. Is this in your bible? Is it possible to serve the Lord in business? Only if you are going to read your bible and do it. Only if you are going to get to the expected end by doing what He says to do. He has an expected end for you. But you have to be not slothful in business. Who’s business? Your business. Every child of God should own their own business. You are to study to be quiet and learn to do your own business. What if someone says, “I don’t want to be in business or even know how to go about it.” Then you’ve got some learning to do. The first thing you need to do is “take up” the word of the Lord that is coming to you today, that God has a plan for you—an expected end—and the way to get to that expected end is to be in and own your own business, the head and not the tail. Being boss of your own domain just like God made Adam in the garden of Eden. Engaging in business is part of your calling. Engaging in business if part of your calling. I don’t care if you are a preacher. You are still called to do business. It takes money to buy satellite time, TV air-time, and to build buildings. Right? All of those things require business. Most of that money should come from the Tithe—10%. Imagine the amount of money that God wants to put into His ministry. That’s just 10% of the amount of money you are supposed to own and control. All of the things that God wants to do in the earth via the ministry is only 10% of the total amount. The other ninety percent is yours. To engage in business is part of your calling. Wouldn’t it have to be? God’s expected end for you is wealth. He has an expected way for you to do it. He has a plan. To engage in business is part of your calling. Doing business, like seed-time and harvest, is a law built into the earth. You work with it or against it to your own benefit or failure. If you learn to do business you are lining yourself up with God’s plan for an expected end. You need to mind your own business. There’s an anointing to do business that takes you beyond just book learning, principles, and concepts. Non-believers can do principles and concepts that come directly out of this bible and have a successful business. But, if you are doing those same principals and you have the anointing on you then watch out! Joseph was not only wise in the way he treated his business but he was anointed to do it. He ended up taking over everything. Every child of God is called to own their own business. One way to go about it is to work for somebody else in their business until you can do it on your own. Another way is to just start. Yes, you may fail. Failing is part of learning. You are not a failure you simply learned something out of that failure. You’ve got to start where you’re at. A moving car is easier to turn than one that’s stationary. You start where you are at. To engage in business is part of everybody’s calling. It’s ninety percent of your calling! Some of you will never enter into the call on your life until you get the business side straight. Those who learn to buy and sell effectively open a door for God to multiply riches in your hands. If you’re not a business person with your eye on buying and selling—knowing that that’s the way God is going to get you a million dollars—then you are going to miss it. You’re still waiting for the golden cow with the golden bag full of golden coins. What kind of people are aware of business opportunities? Business people—people that are good at buying and selling things to make a profit. Every child of God should own their own business and doing business is part of your calling. If you don’t do this part of your calling God can’t get you to the expected end. I hope you heard that. So many times we don’t know what we are looking for. We are thinking that it has to come some other way and yet God is trying to give you the business idea, the business acumen to do what you need to do, but you won’t put your foot through that door, you won’t start it, then where are you going to be? Somewhere in the middle. Yet, all the time God’s trying to get you to head. It may seem like God wouldn’t be involved in that. God is involved in that! That is God’s plan for all of His children. It’s ninety percent of His plan for all of His children. We can preach prosperity until we are blue in the face but if we don’t show people how to put their foot into the stream that’s going to take them to the expected end then we are never going to get there. We can no longer leave the message in the esoteric world of only God wanting you to be wealthy. God’s got a way for you to be wealthy and most of the time it’s by being a business person. Frankly it is your number one calling. Is this your calling? Yes, it is every child of God’s calling—owning your own business. Know that this is God’s will for you. This is God’s will for you. He does have ministry for you but this is His number one plan. His will for you is to be a successful business person. God wants every child of God to be millionaires. The glory of this latter house is going to be greater. Is it going to come in some other way? No, it’s still going to come in this anointing to do business. The glory of this latter house will come in an anointing to do business and prosper. The glory will be greater than the former house in Solomon’s time. The Healing and prosperity gospel is propped up by faith. One of the reasons traditional christianity has failed so miserably in this area is that they don’t believe in healing and prosperity—they have no faith for it. They don’t prop it up by their faith. If your faith isn’t holding it up, the prosperity gospel can’t exist. Christians can go on being christians—live and die and go to heaven—and that’s just fine, but prosperity will never exist in their life and healing will never exist in their lives. Because, prosperity and healing is only propped up by your faith. The whole message of prosperity, the whole message of healing, is only propped up by your faith. Regular christianity is propped up by traditional thinking. Once you’ve got the traditional thinking settled it doesn’t go anywhere. It’s propped up by tradition. It’s very powerless. Jesus even said as much. But here we are talking about prosperity and healing—which are in the Word of God—and are very effectual when you prop them up by your faith. 1. An object placed beneath or against a structure to keep it from falling or shaking; a support. 2. One that serves as a means of support or assistance, or to sustain. To support by placing something beneath or against; shore up. What is going to support or sustain prosperity or healing in your life? Your faith. Not God. That’s the problem with people who wait on the sovereignty of God or the grace of God to somehow come down and help them in their situation. He’s not going to! He’s not coming. Nobody likes it when I say that. But, it’s the truth. God’s not going to heal you. God’s not going to help you. God’s not going to prosper you. Why not? Doesn’t He love me? Yes, He loves you but everything He does He does by FAITH!—your faith. Prosperity and healing is propped up by your faith. If you don’t apply your faith to it, then there is nothing there. It doesn’t exist. You are waiting on an answer that doesn’t exist. Have you ever seen a second floor porch that is supported by a beam? The beam holds up the porch. It props it up. If you take the beam away, what happens to the porch? It comes tumbling down. Without the propping up it all comes tumbling down. Everyone is in the same situation. You can be going along, doing your job and believing for healing and prosperity. Doing just fine and all of a sudden you stop. You stop doing your confessions, you stop praying in tongues, you stop meditating in the word on healing and prosperity. You stop propping it up with your faith. Guess what happens. Here comes sickness. Here comes lack. Who’s propping it up. Your faith. What did Jesus say? Be it unto you as you have believed. Get it? Now this is good news if you take it in the right way. You can prop it up! You are not limited in the degree of how much you want it propped up. How much health and wealth do you want. It’s not up to God. It’s up to you. Sounds kind of rough doesn’t it? Listen. The opposite side also must be true. If it is God’s will that you have healing and prosperity that is propped up by your faith—that’s His plan, that’s His will—so it’s not His plan or His will that you have prosperity and healing apart from faith. Some people will say that God can—prosper them or heal them—if He wants to. No. He already said what He wants to. He wants you to believe His word. He want’s you to use your faith. He said for you to resist the devil and he will flee from you. You do the resisting of the devil and the devil does the fleeing. That’s God’s plan. That’s God’s will. That’s God’s way. So, taking this on the opposite side, it can’t be God’s plan for the devil to flee from you unless you resist him. Right? Because, God said you have to resist him. He said the devil will flee if you resist. When people separate God from His word they’ve taken an unfortunate step into traditional thinking that makes the word of God of no effect. Be it unto you as you have believed. Not as I’ve believed. Who does the believing in your life? You do. So when you have people, who—as an act of their own traditional thinking—have nothing to do with prosperity or healing, what’s going to happen to them? No prosperity. No healing. Do you think God stays awake at night worrying about it? No, they’ve chosen unbelief. Every scripture has enough faith—contained within it—to bring itself to pass. You are not trying to work up something. You are simply extracting the faith that’s already in that word, putting it in your spirit, and allowing that scripture to bring itself to pass in your life. It’s what you do with it that counts. You can take your bible and find thousands of promises in it. Prosperity scriptures? Healing scriptures? Yes. These are out-right promises of God. Guess what happens if you don’t believe it? It—the promise—won’t be done unto you. It will just stay in that book and you will live and die without it. Sorry. In a way, that is God’s will too. He truly wants you to get the faith out of that word necessary to have it in your life, but, if not, it is not His will that you get that blessing outside of His word and faith in His word. All the promises of God have faith in them, and the kind of faith, and enough faith to bring it to pass in your life. It’s what you do with it that counts. But I am telling you that without the word of faith, without the scriptures, without your faith propping up prosperity and healing in your life, you won’t have it. It may be God’s will that you have it, but it’s also God’s will that you don’t have it apart from faith. Faith is the method that He created for everyone. This is God’s method, so that the promise would be guaranteed to everyone. Not just people who were born into prosperity, not just people who were born with good health and good looks, but, available to everyone. This is God’s method. Without faith it is impossible to please God. Does your bible say that? Is it possible to please God apart from faith? Is He pleased by you being healed and prospered apart from faith? I made my decision a long time ago that when I see something in the word that doesn’t line up with my traditional thinking, guess who gets to change? Me. My thinking changes. I used to think, God is a good God and He wants everybody healed and everybody prospersous. But, how many people did Jesus heals apart from faith? Did he just walk down the street and say, “your healed, your healed, your healed! Even though you are an ignorant unbeliever and don’t listen to anything I say, be healed anyway.” Did he do that? No. He wasn’t even the one who incited the healing when the Centurion came up to him and took healing from him. The Centurion took healing from Jesus. He took it. You can take healing and prosperity from God and it is His will that you do. Or, you can take nothing from God and sit there in your little stinky unbelief and your rubbish thinking and never get a single thing from God. Both are His will—because His word is His will. But, it’s all up to you. Say, it’s up to me! There are christians out there who don’t believe in healing and prosperity and they are waiting on something to happen. They are waiting on the sovereignty of God, the grace of God, and the prayer chain to do something. Nothing will happen. God says, Faith pleases Me. Without faith it is impossible to please Me (God) for he that comes to God must believe that He is and that He is a rewarder of them that diligently seek him. What pleases God? Believing He is AND He is a rewarder of you. Just believing that God exists, doesn’t please Him. The devil believes God is. Do you think the devil is pleasing God? No. You have to believe God is AND that He is a rewarder of you. That’s what pleases Him. The prosperity and healing gospel is propped up by your faith. If it’s not propped up by your faith it doesn’t exist. It’s not even there. It’s as if it was a vapor that completely disappeared from off the face of the earth. You are the barometer of your own success or failure. Not me. Not your mom or dad. Not your neighbor. Do you want success, prosperity, and healing to exist in your life? If you don’t prop it up with your faith—that comes by hearing the word—it won’t exist. It won’t be in your life and stop crying to God about it! It’s far better to have the scriptures in your life. It’s far better to have the word of God doing things for you, than to have it not even exist. What overcomes the world? What overcomes the world victoriously? Our faith. It’s not my faith overcomes your world? No, your faith overcomes your world. You need to own this fact that faith is your victory. Then you need to know ‘the faith feedback loop’—you need to know it, prove it and work it—knowing that it will work every time. It was prophesied to me years ago that there would come a day when the things of God will be explained so simply that you would be able to write it on a chalk-board and people would be able to do what’s on the chalk-board and have miraculous results in their life. Well, this is that day! This is the hurdle you must get over. You must know the faith feedback loop. You’ve got to know it. You’ve got to understand it—that this will literally put you over in life. Faith is the victory that overcomes the world and this is how simple it is to have victory over any situation and every situation. That’s pretty simple. Right? Say the Word of God, hear the Word of God and have enough faith come to put you over. This is what you need to know, you need to prove, and you need to work. The Faith Feedback Loop. The first thing you do is you need to say something God said about you. And what happens when you say it? You hear it. What happens when you hear the Word of God? Faith comes. So then faith cometh by hearing, and hearing by the word of God. Romans 10:17 What did Jesus say about the mountain? He said that Whosoever would say to the mountain and believe that what he says will come to pass, he will have whatsoever he says. Mark 11:23 Well, this all begins as a small loop. How many of you know what feedback is? Have you ever heard feedback from a microphone? If you get the microphone to close to the speaker, you may say just one little thing into it. You say something into the microphone and it comes out the speaker now the microphone is picking up what came out of the speaker and it goes right back in at the speed of sound and gets louder and louder, faster and faster. Louder coming out the speaker. Louder going into the microphone. This happens very quickly and what we end up hearing is a high pitched squeal! It’s feedback. That’s what faith feedback is. When you speak the Word of God you’re getting feedback. It resonates down into your spirit and faith comes. Which causes you to what? Say it with more faith! And you say it with more faith. And it keeps coming, again and again. By Jesus stripes I was healed. By Jesus stripes I was healed. By Jesus stripes I was healed! This builds up in your inner man until faith is the victory that overcomes the problem, that overcomes the world. So, as this is getting bigger and it’s getting stronger and it’s going faster and it’s getting louder it will take you over the problem because faith is the victory that goes over your problem. You must get over this hurdle of knowing this. Some of you have been stuck not knowing how to do this. You’ve got to have it. You’ve got to see this and have this work in your life. So that you can do it again, and again, and again. You need to take a scripture, say it, hear it, and have faith come. Say it, hear it, and have faith come. Say it, hear it, and have faith come until you overcome a specific problem. And know that you proved it. Know that you overcame your problem with that method. This method, the faith feedback loop. That’s the hurdle I am talking about. It’s to easy to say that the hurdle is the problem. No, the hurdle is not the problem. This is the hurdle. You’ve got to get over this. Knowing how to operate the Faith Feedback Loop. To know that it works and know that it works every time and in every situation. Once you own this—Faith Feedback Loop—you’ve cleared the hurdle and the problems are no longer significant. If I had symptoms of sickness come on me I would sit there and make myself say, by Jesus stripes I was healed, sickness can not stay in my body. And then I’d say it again. By Jesus stripes I was healed, sickness can not stay in my body. And I’d say it again. And I’d say it again. I’ll work out on that thing. 5, 10, 20, 40, 60 minutes, until all of a sudden I know. Something happened! I said it and my faith was released in those words where I knew that that sickness left me. Whether the symptoms left immediately or not I knew that my faith overcame that problem. I’ve done this again, and again, and again—financially, spiritually, physically. This is the hurdle you must get over. You must own this. Especially as Society Members it’s what we are putting into you. I’m writing it very simply on chalk -boards. You’ve got to take this and do it and it will work for you every time. Once you’ve gotten over the first hurdle—this hurdle—and it’s taken you over something specific in life, you’ll never be the same. You’ll know that you can work the Faith Feedback Loop again, and again, and again… And it gets easier. This should excite you because now you know that you can get over any problem in life with God’s Word in your mouth. You can have it. But, you’re going to have to have some feedback going on. You’re going to get into that feedback loop. You initiate it. I may help you out. This message today will put faith in you to get that spindle rolling. To get it going in the right direction. But, you are going to have to be the one to feed it with your words and get that feedback started. So then faith comes. Faith just comes. If we just knew how to have faith to come. Then we could get enough faith to overcome our problem. Any problem in the world you can overcome by faith. We all understand that, right? We all understand that if we have a certain amount of faith, that faith would cause us to overcome our problems. I don’t care what problem it is. Faith is the Victory. Wether it’s sickness, lack, or any number of other issues. You could have an incurable illness and if you had enough faith to act on it, it would go away and cease to be a problem. Well, how do we get that kind of faith? Faith comes by hearing. It comes. It just comes. That part of the Feedback just comes. So faith comes. But, how does it come? By hearing and hearing by the Word of God. You’ve got to hear it. You have to know these things. You are required to know these things here (MHGS). But the righteousness which is of faith speaks. The righteousness of faith does something. It speaks. Well, I’ve got news for you, you’re in the loop already. If you speak the Word of God you’re going to hear the Word of God and you’ve already begun that feedback loop. Faith speaks. But what saith it? The Word! My faith speaks. What saith it? The Word. What does faith speak? Faith speaks the Word. When you speak the Word you’re going to hear the Word and that Faith Feedback Loop is going to begin. This is very simple it’s like you could write it on a chalkboard. I wish God would make this so simple that we could write it on a chalkboard. So the righteousness of faith speaks. What does it speak? The Word. Where is it? It’s near you. It’s in your mouth. Number one, it’s in your mouth then it’s in your heart. Where does faith go. Where does it grow? It grows in your heart. It’s a force that will grow up in your heart and you don’t know how it happens. You don’t know how that faith grew up in you to where you spoke something. Just like God, remember that’s how He does things. You spoke something and that’s going to come to pass. You don’t care if somebody comes along and slaps you. It’s going to come to pass. That’s faith. How do you get to that point from saying. You keep saying. You keep saying. Romans ten seventeen says, Faith comes by hearing. Verse six says, the righteousness of faith speaks. Verse eight says, What does it say? It says the Word. Now go to verse ten. Is with the mind that man believes? No. For with the heart man believes unto righteousness and with the mouth confession is made unto salvation. Salvation means deliverance, healing, soundness, prosperity, or simply whatever you need. Is this to difficult? What part of you is going to believe? Your heart or your spirit man does. Your mind is going to have a hard time with it. Because it always wants to understand and figure things out. But faith is of the heart or spirit man. It’s with your heart that you are going to believe. When you say it your heart believes it. And at some point your heart is going to believe it enough. And you are going to say it and that will be the end of it. Because it says right here in Romans 10:10 that with the mouth confession is made unto. Confession is made unto. Unto what? That all inclusive word, Salvation. You can be saved. You can be healed. You can be delivered. You can be prospered. You can have any verse of scripture. You can have any Word of God this way. This is normal christianity. This is the way you are supposed to do it. It does not diminish the gifts of the Spirit but this is normal christianity and this is what you are learning how to do. So you are going to–with your mouth–keep confessing until the salvation shows up. As you’ve go that faith feedback loop going, faith is coming, faith is coming, faith is coming. And then your mouth confesses unto your healing. Then there with come one time when you say, By Jesus stripes I was healed. And it with go shwooph out of you and fix something. It will go shwooph out of you and the devils will leave. It will go shwooph out of you and the angels go and bring you a big bag of money. Or bring you a raise. Or bring you a promotion. Or do whatever you are confessing. Or move the mountain. Can you do this? This is simple enough, I can do it. I’ve got faith feedback going on. And I want you to see that this isn’t some equation that I came up with to be tricky or fancy. This is how we walk with God. This is how God does things. When we’re doing this we are walking with Him. Remember, this is God’s idea. And you are going to walk with Him in this. You’re going to put yourself right in there too. God and me walking together. We’re saying. We’re hearing. Faith’s coming. We’re doing this. It’s God’s idea and you and God are workers together. We are workers together with Him. This is God’s plan. This is God’s method. When we get in line with it we’re working with Him. We have the same spirit of faith according as it is written I believe therefore have I spoken. We are working together with Him. We have the same spirit of faith. Who is The Spirit of Faith? The Holy Spirit. This is God’s idea. Are you seeing this now? It is God’s idea that when He–in the beginning–what did He do? He believed something and He spoke it. So, everything that we have, see, and know came out of this–believing and speaking. So, if we are going to work with God we are going to be doing the same thing. We’re going to be speaking words and believing words. And speaking words and believing words. There is no other way to walk with God. I understand we all have this concept of what it means to walk with God–it’s usually religious and most likely wrong. We’ve got to clean that old concept out of there because that’s not walking with God that’s just a concept of walking with God. This is walking with God. If you do this–if you get inside that feedback loop–that’s you walking with God. You’re working with Him. You’re walking with Him. He is the Word. You are speaking the Word. We have the same spirit of faith according as it is written, I believed therefore have I spoken. We also believe and therefore speak. Who did this originally? God did. Who’s image did He create you in? His image. This is so simple. We make it complex. I learned this years ago and it just gets stronger every day. That when I say the Word of God, that’s me walking with God. When I don’t say the Word of God, I’m not walking with God. I may feel fine. I may feel alright with God. I may know my sins are forgiven. I may know I’m going to die and go to heaven. But, that’s not me walking with God. Me walking with God is saying His Word. God made man in His image and said of him to have dominion over. How was Adam going to have “dominion over?” If you just read from the beginning up till this verse, the only thing you would know about God is that He is someone who speaks words and has them come to pass. So, by the law of first reference, the only thing we could know about Adam–created in the image of God–it that he is someone who speaks words and has them come to pass. Then we have much more revelation as we read the rest of the bible but it began there. It began with spoken words. So here’s Adam, in God’s image–Let Us make man in Our image. What image? As a person who can speak words, believe they come to pass, and they come to pass. And remember, it said, Let them have dominion. How were they going to have dominion? By their spoken words. That’s how God created man to have dominion and that’s how they had dominion. They’d say, “lion shut up and sit down.” Right? “Tree grow. No fruit come off of you hereafter forever. Mountain be removed and cast into the sea.” This is how they did it. They were in God’s image. Who’s image are you created in? In God’s image. How are you going to walk with God? By speaking words. Adam had to walk with God by speaking words. If you don’t believe me go over to Genesis chapter two. Man became a living soul. The phrase living soul is a little bit blind to us. I did some hebrew language study on this. Actually, I have a whole book on it–proper speech. These words–a living soul–literally means in hebrew, a speaking spirit. And man became a speaking spirit. God created man in His own image. He created him a speaking spirit. You are the only creature on this earth that has the ability to speak words and believe they come to pass. Parrots can’t. Monkey’s can’t. We can. How are we created in God’s image. This! We were created a speaking spirit. That’s how we are like God. Got it? So, if I’m going to walk with God, He’s a Speaking Spirit, I’m a speaking spirit, we are going to walk together. If we are going to be with each other. Then I need to be a speaking spirit and I need to be speaking the same thing He’s speaking. That’s how you walk with God. You don’t walk with God by thinking, you don’t walk with God by feeling, you walk with God by speaking. Because, He’s a Speaking Spirit and He created you to be a speaking spirit. If you still don’t believe me go to Genesis chapter three. They heard the VOICE of the Lord God walking in the garden. People say, “I want to walk with God, I want Him to hold my hand and we’ll skip together.” That’s not how you walk with God. You walk with Him by saying. It’s with His voice that you walk. What is a voice? It’s saying something. They heard the VOICE of the Lord God WALKING. What did they hear walking? The voice of the Lord God. If they were going to walk with God they were going to walk with His voice. They heard His voice walking. Does He hear your voice walking? Your voice needs to be walking. When we say walk with somebody we mean live life together with them. So this is where Adam fellowshipped with God. It was in spoken words. They heard the voice of the Lord God walking. Now what happen when you hear the Word of God? Faith comes. They knew this back here. This is not some foreign thing. This was something that was going on from the beginning. They were speaking spirits. They heard the voice of God walking speaking. And to walk with Him they had to be speaking spirits. All of these things that I’ve written about here today are foundational things. I don’t know why we don’t hear about them in many churches. But, this is what you need to grow up in. Grow up! Here’s the question. Can two walk together except they be in agreement? The answer is, No. What are they agreed in? In what they say. So, walking together–according to the bible and we are basing this on the bible. I’m not basing my walking together on some conceptual thing that I’ve just thought of. Walking together in the bible means you need to be in agreement. So, when you want to walk with God you are going to have to be a speaking spirit and say the same thing. That’s what agreement means–saying the same thing. You can’t walk with God and not say the same thing. Let me say it this way. You can only walk with God by saying the same thing. You only walk with God when you are saying His Word out your mouth. Remember, He is the Word. When you are saying His Word out your mouth, you’re walking with Him. When you’re not saying His Word out your mouth, you’re not walking with Him. You only walk with God when you are saying His Word out your mouth. I will bring this into this other realm just for one second. When you are speaking in tongues, Who’s words are you speaking. You’re speaking His words. When I speak in tongues I’m speaking God’s words, I’m walking with God. It’s because I’m speaking. The speaking is the key. You are a speaking spirit. So I’m speaking God’s Word. So if someone says, “Yes, I’m walking with God.” and they are doing something other than speaking–either speaking in tongues or speaking scriptures, then they’re not. You are walking with God when you speak. This is something you must have. You must own this. Do you know what I mean when I say own it? Meaning, I know how to do this, I know this, this is mine, and by owning it I can show other people this is how you do it. Because, I own it. It’s mine. And many times with owning something you’ve got to purchase it. Which means it my take you some study. It might take you some looking into. It might take you some reading this message over and over. But you must own this. Especially as Society members and people that belong here. This is part of what we require. You’ve got to have this. If I tell you that I want to walk with God today, how am I going to do that? I’m going to speak His Word. Take a couple of scriptures that pertain to what you really want and then you are going to say those words. And as you are saying those Words you will be walking with God. You’ll be working with God. You’ll be in the middle of that feedback loop, which produces itself in your life. Every Word of God has the ability to reproduce itself in your life if you walk with God in it.